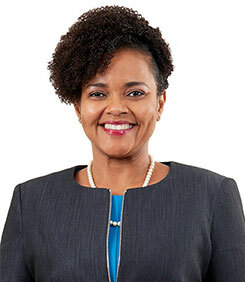 Claudine Allen was appointed Executive for the Enterprise Contact Centre and Member Ombudsman for the Jamaica National Building Society (JNBS) in January 2015. With the restructuring of the Society and the launch of JN Bank on February 1, 2017, she was appointed Executive – Member Relations and Quality Assurance for The Jamaica National Group. In this capacity, she leverages global best practices and standards to ensure memorable customer service delivery at customer touch points across the JN footprint. As Member Ombudsman, she champions the rights of members, providing an avenue for recourse on complaints and ensuring the operations of businesses in the JN Group maintain focus on adding value for members. She also serves as the Management Representative for JN Bank’s ISO 9001:2008 certified Quality Management Systems, ensuring adherence to standards throughout its operations. As the champion of the interest of members, Miss Allen and her team works to resolve customer issues, facilitates measurement and analysis of customer experience and leverages member feedback to inform the direction of the Group. Miss Allen joined the Jamaica National Building Society as Communications Specialist in the Corporate Communications department in 2006 and has also served as Special Assistant to the General Manager – a position she held for six years. She brings to the Group expertise in corporate affairs and public relations, customer service, business administration, and advertising.